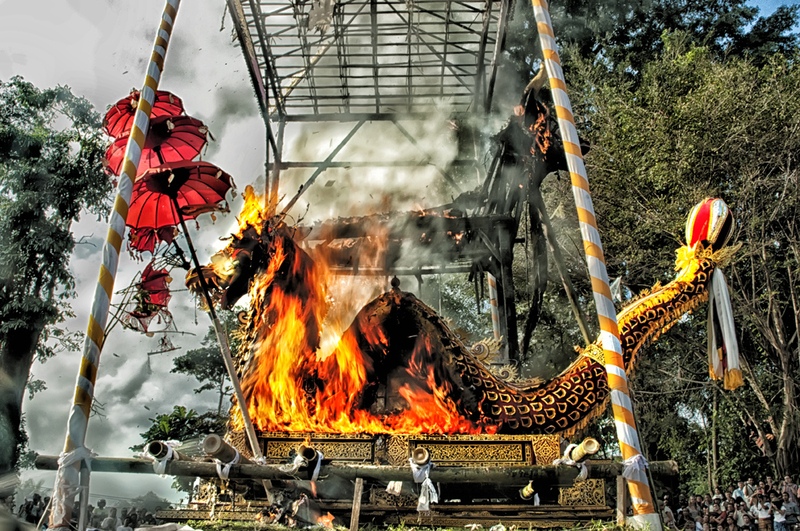 Balinese Ngaben Ceremony or Cremation Ceremony, is the ritual performed in Bali to send the deceased to the next life. The body of the deceased will be placed as if sleeping, and the family will continue to treat the deceased as sleeping. 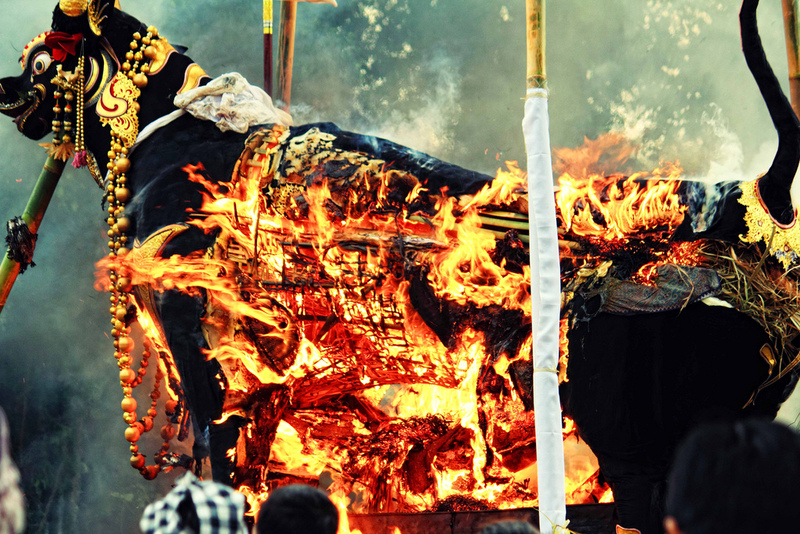 No tears are shed, because the deceased is only temporarily not present and will reincarnate or find his final rest in Moksha (freeing from the reincarnation and death cycle). The proper day of the Ngaben ceremony is always a matter of consulting a specialist on ceremony days. On the day of the ceremony, the body of the deceased is placed inside a coffin. This coffin is placed inside a sarcophagus resembling a buffalo (Lembu) or in a temple structure (Wadah) made of paper and wood. 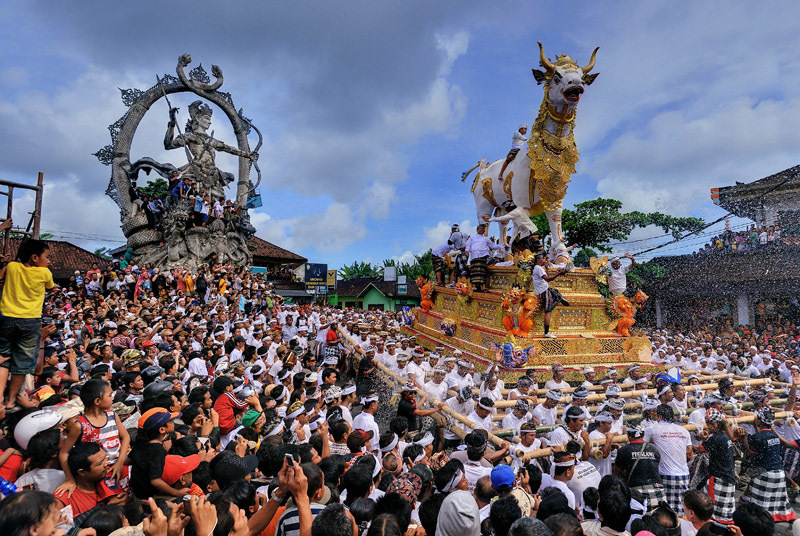 The buffalo or temple structure will be carried to the cremation site in a procession. The procession of Ngaben is not walking in a straight line. This is to confuse bad spirits and keep them away from the deceased. 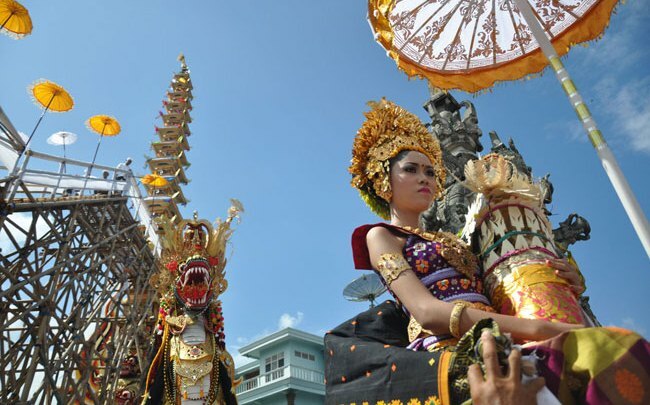 Ngaben is on of the most important ceremony in Bali. Because human body consist of 10 basic elements. One 5 elements we call as Panca Maha Butha or five macro cosmos element: Pertiwi (soil), Apah (water), Teja (fire), Bayu (air) and Akasa (ether or space). And the other 5 memories elements we call as Panca Tan Matra which is the five element that influence us from our sense which is consist of: Ganda (from the nose or smell), Rasa (from the tongue), Rupa (from the eyes), Sparsa (from the skin sense), Sabda (from the ears). 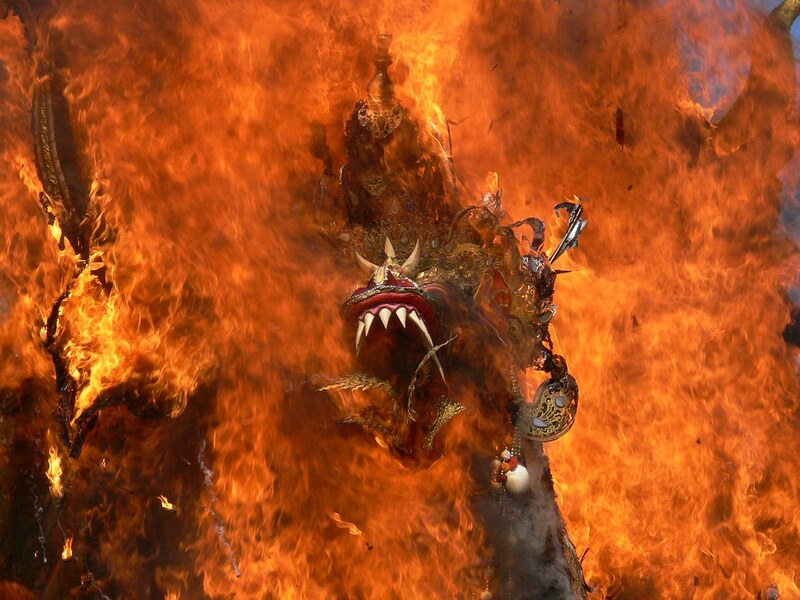 After all been burning and cremating there is still another step because the atman or spirit are still have other part of element that need to be eliminated that we call Panca Karmendria or five major sin that we are doing. The Panca Karmendria is consist of: Padendria (sin that coming from our path of life), Payundria (sin that coming from our food in life), Panendria (sin from our hand created), Upastenindia (sin from our sexual behavior), and Wakindriya (sin from our speech or our mouth). The ceremony to “erase” those sin is we call as “Nyekah” It doesn’t mean that we will be free from those sin after the Nyekah ceremony, but it is actually the recap of our sin. And the result will becoming the report that “atman” or spirit has that will result whether he or she to be reincarnated or not. This report it self we call it as Karma Wasana. So “Ngaben” is basically helping the atman to reach his/ her status as quick as possible to “Brahman” or God to the next level and there are several layer of “wrapper” that need to be remove by doing Ngaben and Nyekah ceremony. And for the people who still alive, Ngaben and Nyekah are the good filosophy the remind us to always create good karma in life. So our report or Karma Wasana can lead us to Moksatham Jagadhita Ya Ca Ithi Dharma or free from reincarnation. This also showing us that Hinduism is not about getting heaven but how to be one with Brahman or God.